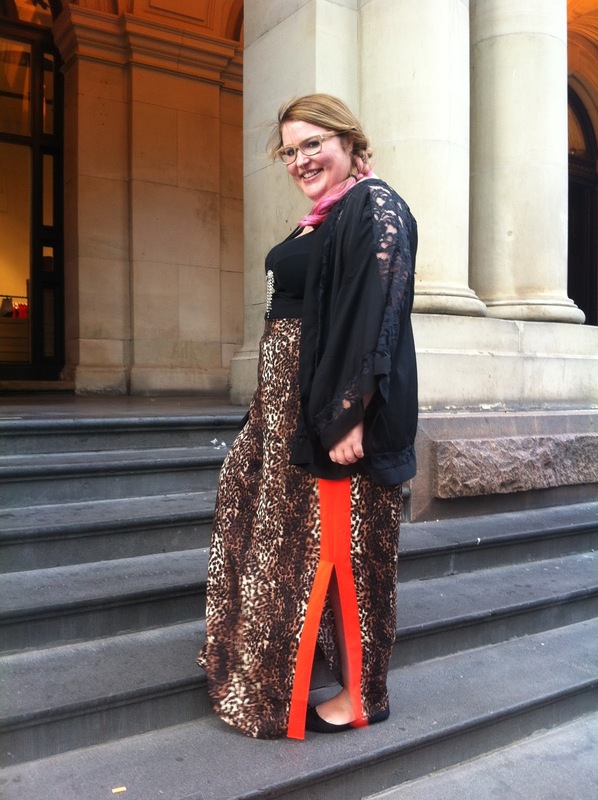 Dinner with my friend today in the city led to today's OOTD being taken with the lovely Melbourne GPO as my backdrop. Today's outfit is a departure from my norm: 2 things I normally don't even try to attempt. 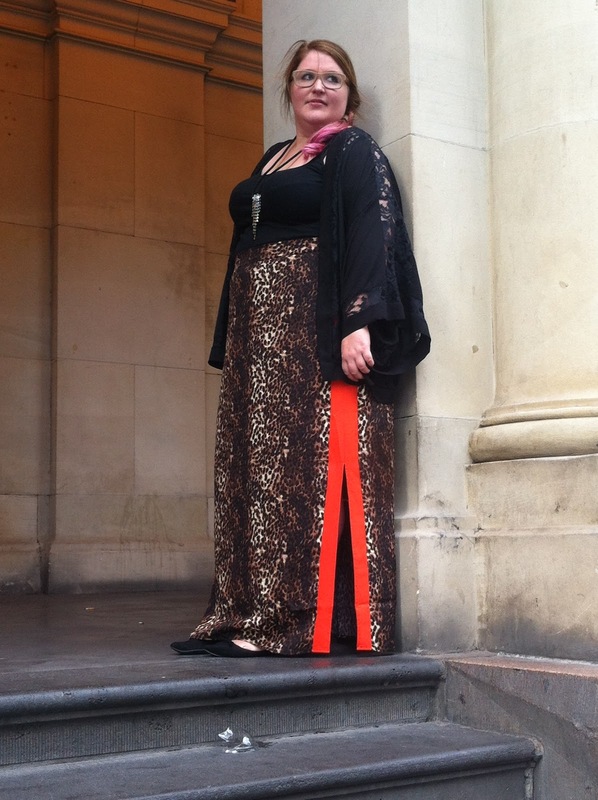 Orange and leopard print. And in one skirt! I picked this up in the City Chic sales and I'm quite impressed. It's not tacky leopard and the orange down the sides is really on trend without being to much to scare me off. Surprising I usually don't find maxi's that cool; they often don't breathe enough and have a sauna effect so that I'm constantly waving them around to cool off! However this skirt has side slits up to the knee so the skirt is ventilated while giving just a demure flash of skin when walking. 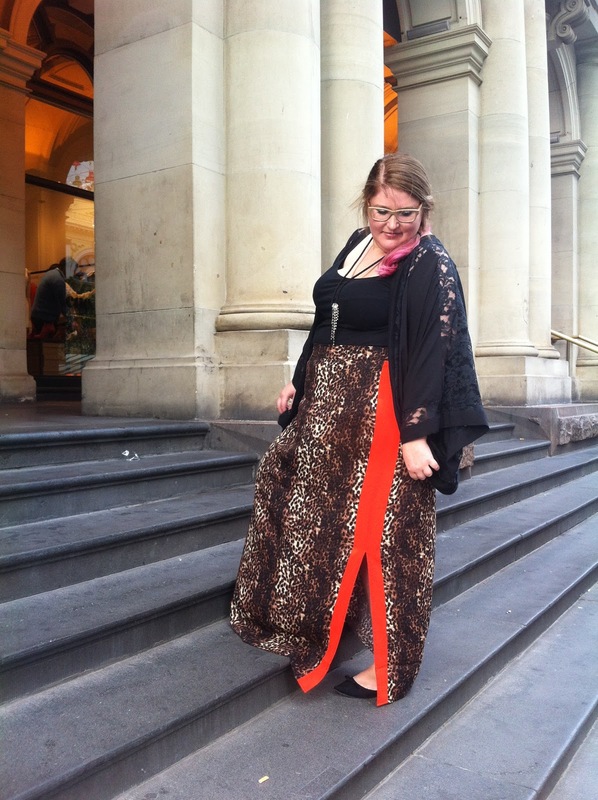 Paired with a simple black singlet (my favourite one that is; I have 5) and my new lace kimono-style jacket, the leopard and orange can shine. 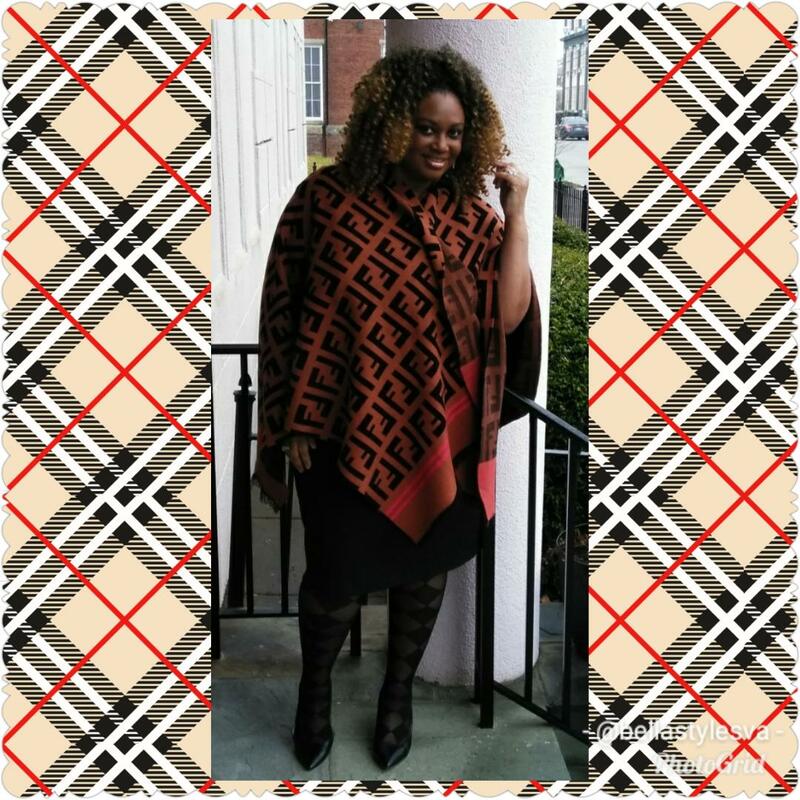 You may be wondering, if you're plus size (or even standard size!) like me, how I deal with the, um, 'situation' that can arise when wearing skirts. 'Chub-rub' as its affectionately called! Well I'm defiantly a sufferer. There have been times when I have had such a bad case that I've been incapacitated for a week. That is until I found my Luvees (thanks to Lilli's post on Frocks and Frou Frou). And I 'luvee' them (ok, that was bad). They're cool thanks to the lace, with the fabric between the legs perfectly positioned to prevent chafe. And they stay up surprisingly well without being tight around the thighs. Do you suffer chub-rub and if so how do you manage it? I'd be interested to know other people's methods, especially those who use creams. 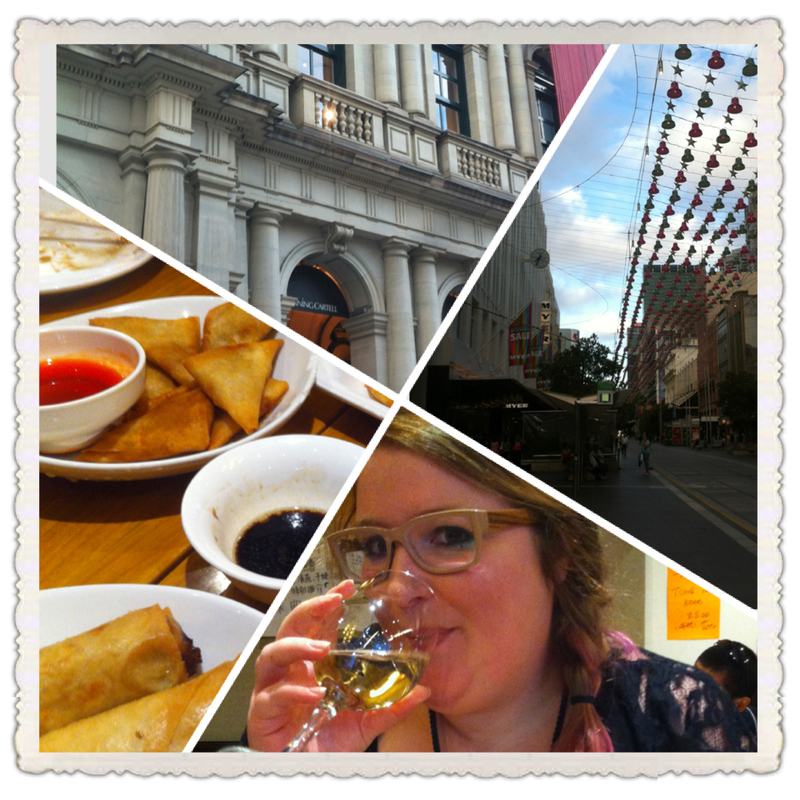 Off to dinner I go; it's dumpling-o'clock! Spin Like a Disco Ball. I Dare You.